Local governments, as well as the private sector, are embracing a long-time business hiring practice – the apprenticeship. Throughout modern history, apprentices have been a key in developing workers and leaders, recognizing talent and instilling organizational core values. In the late 1400’s Michelangelo, considered one of the world’s greatest artists, started as an apprentice. 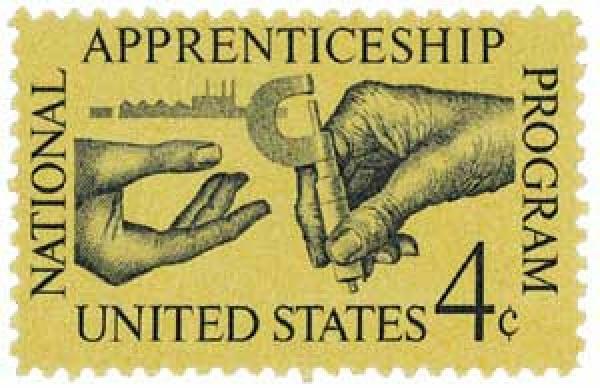 Over the last century in the United States, apprentice programs were the primary route into the workforce, especially in the construction trades and manufacturing. Starting in the 1960s, the United States began trending away from apprenticeships as a path to career success. This period also saw greater access to colleges and universities opening a career path that too many saw as far more appealing. In the 1980s, most school districts still had strong vocational training programs for developing tool and die makers, operating construction equipment and training automotive professionals for example. Often these services were and are provided through the BOCES systems around the country (Board of Cooperative Educational Services). In the late 1980s, funding toward programs that supported education for the trades began a downward cycle of reduced funding and participation. This coincided with declines across the United States in manufacturing as businesses moved these operations overseas. This environment has continued through 2018 and we are seeing the impacts in hiring for all sectors. Best-of-class local governments are building apprentice positions back into their strategy for human resources. So why develop apprentice programs? They provide a unique opportunity for individuals to train and learn while getting paid, and the apprentices can more easily move into fill the skills gap created by retirements. Everyday Baby Boomers continue to migrate off payrolls and into retirement. This has created a significant skills gap, as employers don’t have candidates hirable into these positions, especially at the skill level has been left behind by a long-tenured team member. In a recent survey, the hiring and job site Glassdoor noted that there over 60,000 apprenticeship job available immediately. Two examples in the public sector that show how apprenticeships work are the South Platte River Partners and the Federal Aviation Administration (FAA). In the case of the FAA, they have long had a program which feeds the system for air traffic controllers. These positions require high skill levels in math and decisionmaking and require significant time in practice and learning situations before putting someone in a tower to direct planes at an airport. Individuals who fly a lot appreciate the highly skilled team members routing traffic. Across the country, students train to take the Air Traffic Standardized Aptitude Test (AT-SAT), which are usually in a college setting. Candidates must also pass significant background checks, mental health evaluations and security clearances. Once a candidate completes the AT-SAT, they spend two-to-five months training at the FAA Academy in Oklahoma City. This training period is an apprenticeship model building on skills, training, testing and doing so alongside longtime professionals. South Platte River Partners in Englewood, CO, faced a series of loss of talent and experience as nearly all wastewater operators were retiring in the next few years. The Littleton/Englewood Waste Water Treatment developed a relationship with two local junior colleges to explore a path to identify and develop new treatment plant operators. The program includes schooling and on-the-job training as a paid apprentice. When the program first rolled out, it didn’t have high initial success, but working with educators and modifying the program has cured the issues, and the plant staffing is full and ready to transition operations as the workforce retires. Strategy – Great apprenticeship programs must be a key component of the Strategic Workforce Plan in your organization. Define the roles and responsibilities and pair that with resources. Executive Support – Senior sponsorship is critical to defining the goals of a program and aligning the organizational resources to support the effort. Goals – Defining critical core skills and planning to execute on them in training is at the heart of any program. Start by identifying the “toolbox of skills” the apprentice must have at the completion of the program then build the learning curve around that skills map. Training for the Trainers – In many trade professions, supervisors have limited training in “soft skills” and are unlikely to have a background in adult learning. This training gap is where a partnership with Human Resources and local education professionals is essential to success, helping to define the curriculum and understand what new apprentices need and want in the training program. Price it Right – You must pay the apprentices appropriately during the training period, but also ensure wages are competitive once the training is complete. In the 1990s, a medium-size municipal power utility had developed an excellent apprentice program for journeyman line workers, but as individuals completed the program, over 75 percent left to take a higher paying job with a more prominent utility. Taking the time to ensure compensation plans are market-driven will help in not just making your organization a training academy for others. The United States as a whole, including municipal governments, are facing a continuing loss of skills and knowledge to retirement — especially with trades and frontline personnel. Review your workforce demographics, the potential pipeline of candidates, and assess whether an apprenticeship approach might be a tool to assist in creating success. Author: Keith Reester is the Public Works & Utilities Director in Littleton, CO and also provides consulting and speaking services through Reester & Associates. You can find more of Mr. Reester’s work in his book, available on Amazon, Define, Measure, Create – Inspiring a Leadership Journey. Keith can be reached at [email protected] and (970) 203-4326.